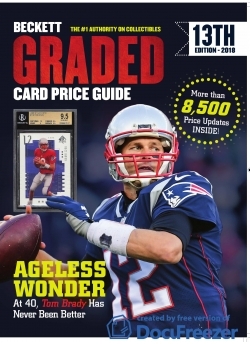 400+ pages of pricing for professionally graded sports & Magic : The Gathering cards. More than 8,500 Price Updates. Historical sales data for scarce high-grade cards. Extensive vintage era coverage with full checklists. Listings in eight conditions for pre-1980 material. Easy to use columnar format.